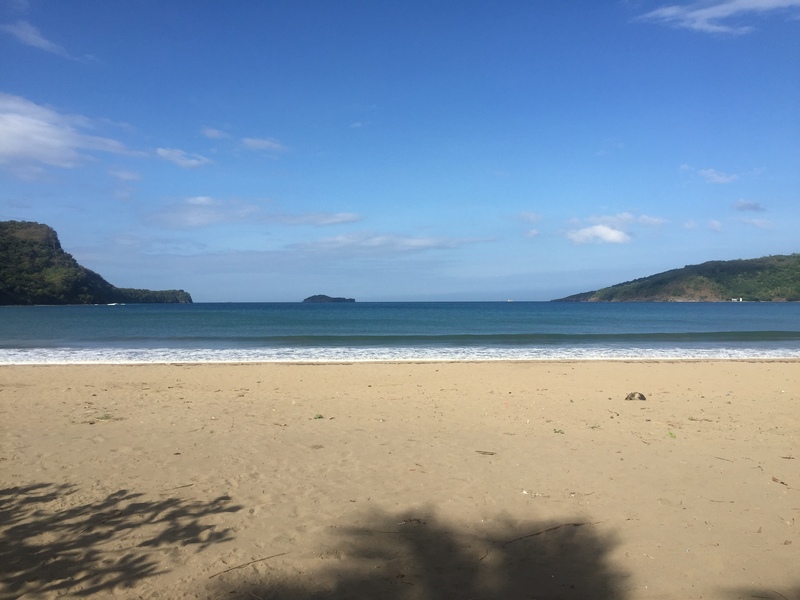 Calayo is located in the first class municipality of Nasugbu and is a place we stumbled across out of the blue. Here is a typical local beach with one difference – hardly any people! We had the entire beach to ourselves for most of the time we were there. This is a real hidden gem and still boggles my mind how after all these years of living here, I can still find beautiful secluded beaches like this, especially one of this size. 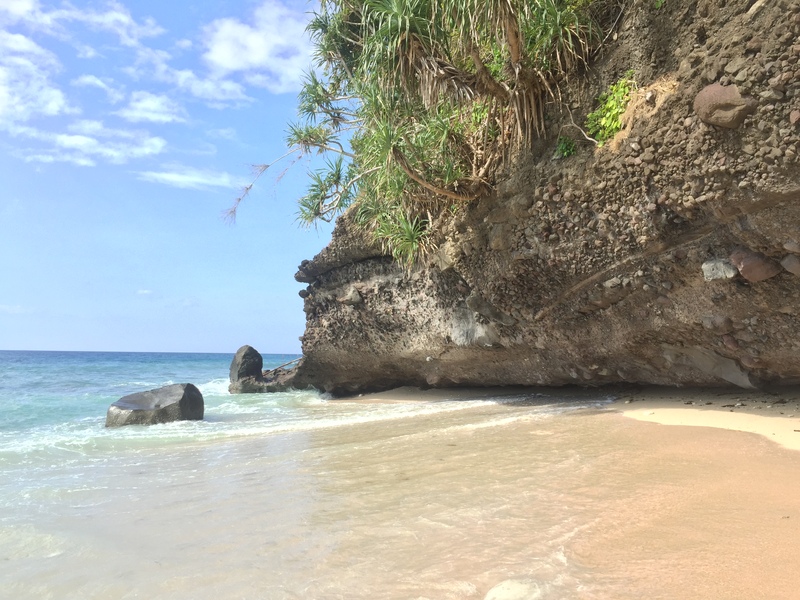 There isn’t too much to write about the place as there really isn’t much to do there aside from chill in a hammock with some beer or go island hopping. This place is well worth even just a day visit from Manila just for the chill factor. The beach itself is a fairly large beach, and if your intention is just to chill out for a day, then this sort of beach is perfect. Make sure you pack the esky with some food and drinks as there aren’t many food and drink options available. However, there are a few sari sari stores in Calayo proper with drinks and Pinoy style food options. Although the sand is not quite golden or white, it is surprisingly clean. It was also free from rocks and seaweed and other debris that is usually washed up with the tide. Also, upon entering the water, there are no rocks or coral. This means you don’t even need to wear any foot protection. For those that enjoy surfing, or SUPing or even kayaking, there are some epic waves on display. Sometimes they were up to two metres hight. What’s more, they roll in on a consistent basis in nice sets. So for those that enjoy some decent waves, you will certainly like this beach, especially around December. Further to the northern end of the beach, there is a little more action. Here you will find a fishing village and Calayo town proper, so there are quite a few boats and people along with some Pinoy style resorts. This is a good place to buy some fresh fish, squid and clams. Depending on which resort you are based out, they will even cook it for you. 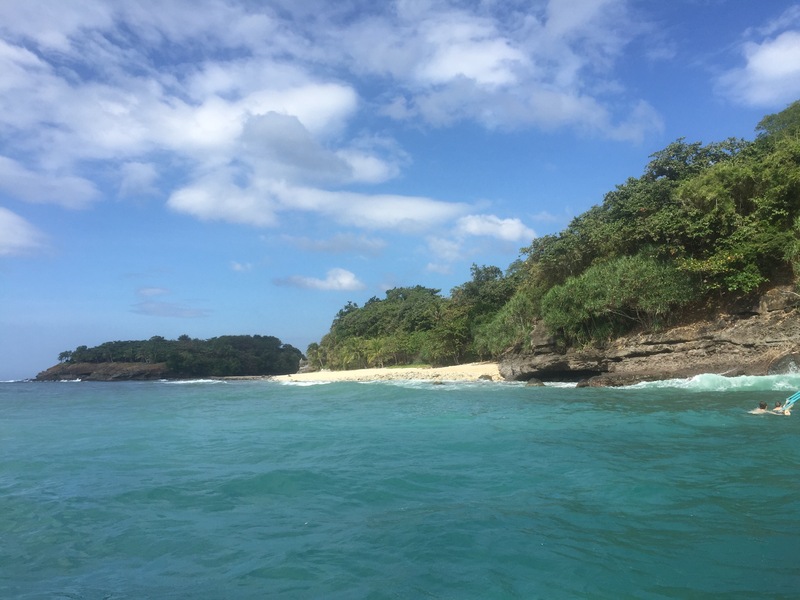 Although they have some Pinoy style kubos on the beach at Sandy Lum, at the southern end of the beach, which are available to rent overnight, there are plenty of better accommodation options in Punta Fuego, Maya Maya, Terrazas De Punta Fuego and Tali Beach. Refer to my write up about Maya Maya for other activities to do in this sensational area if you were looking to make a weekend out of it. You can also check out my video which will give you a real good look and feel for the place. This place is a must visit! If you hire a beachside kubo at Sandy Lum, which you are able to have overnight, the cost is about P3,000 regardless of how many people and regardless if you only want it for a few hours. The size of the kubo can accommodate a dozen or so people. 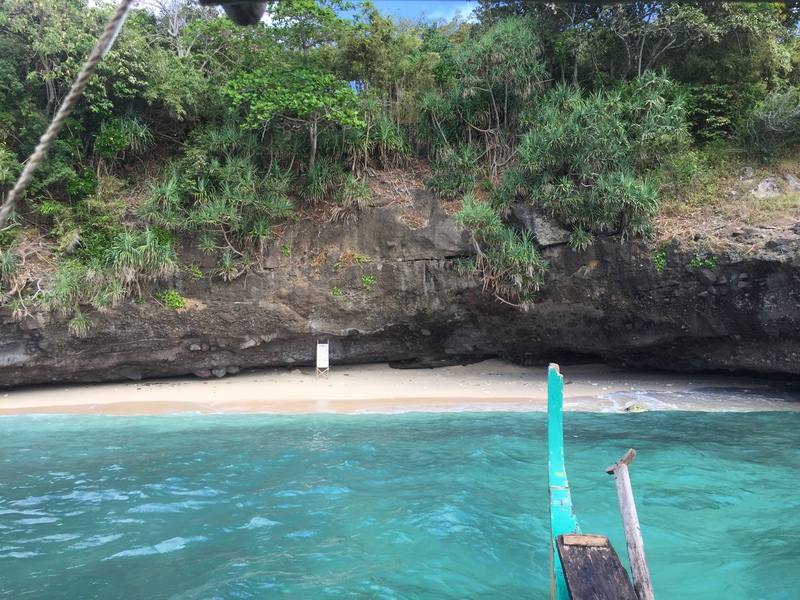 Closer towards the fishing village, you can get a hut for day hire for P2,000 good for 8-10 people. If you wanted to go island hopping, some of the local fishermen are more than willing to oblige. We were able to hire a bungka boat for 4 hours for P1500. 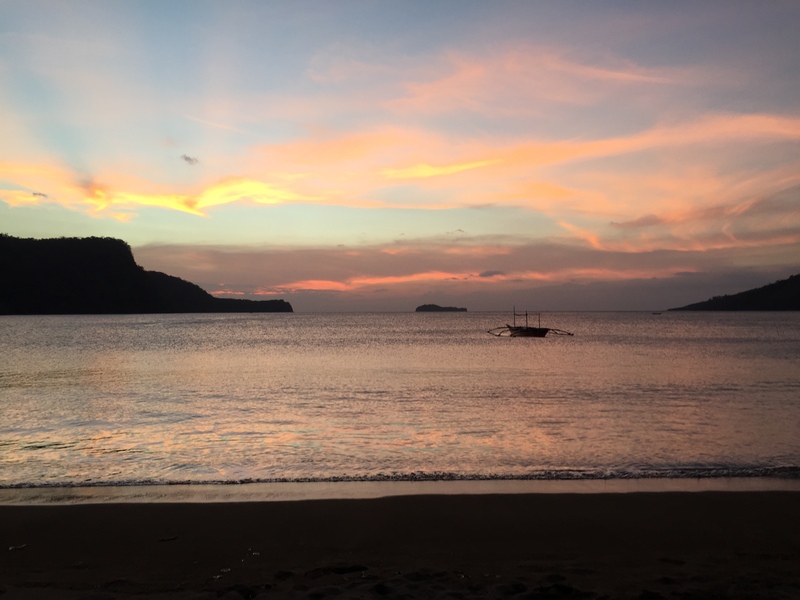 I couldn’t believe it when we arrived at Barangay Calayo and were confronted by this view! Not only is it a beautiful looking beach, but there were also no people at all! One of the local fishing boats taking some time out on the beach with some sensational mountains in the background. A small stream that runs into a lagoon behind the beach. The tide hadn’t come in yet which made for a lovely photo looking back out across the ocean. Approaching Lorelei Island and a fantastic secluded beach on the southern side of the island. How’s the colour of the water?! Unfortunately, the tide was coming in rather rapidly from the south didn’t allow us to spend too much time on Lorelie Island with the small beach as you can see. Looking at another beach on Lorelie Island to the west of the beach we were at, Unfortunately, although it had beautiful sand, it was a bit too rocky to dock our boat with the tide pushing in. 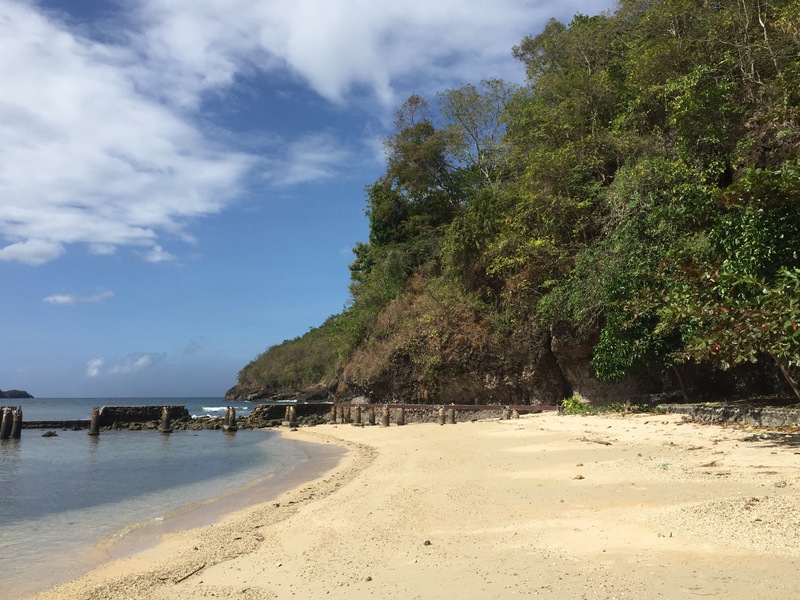 Back to the mainland at Barangay Calayo and the peaceful surrounds of a private little beach called Tatlong Bituin (which means Three Stars in English). There was a nominal entrance fee of P25/head payable to the local caretaker on duty. With the beach facing west, there are some epic sunsets to enjoy. And with such peaceful surrounds, it makes for a great ending to the day. Please click below to check out my video about this hidden gem with driving distance from Manila! 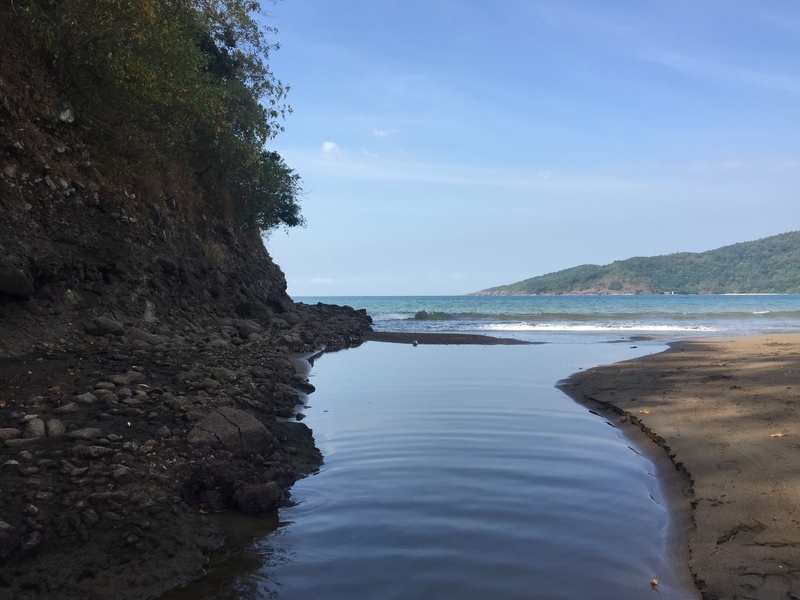 Calayo is located about 85kms south of Makati and is approximately a 2.5 hour drive via the coastal road through Cavite, with the Ternate-Nasugbu Highway offering some great coastal scenery. Calayo can also be accessed via SLEX and via the Sta. Rosa exit through to Tagyatay. Once you reach Tagaytay-Calamba Rd, drive all the way through Tagaytay to Nasugbu until you hit the coast, then drive north a few kilometres past Punta Fuego. If you have time, you can stopover in Tagyatay for a coffee or lunch and take in the views of Taal Volcano. However, this route can take over 45 minutes more. Several bus services are available, but from Buendia JAM Bus Terminal in Pasay, take a bus bound for Nasugbu which goes via Tagaytay. This will drop you of in Nasugbu Town Proper. Cost one way should be less than P200. From there, if going to Calayo, it’s about 15kms and you will need to take a jeepney or tricycle which will take about 30 mins and cost less P100. 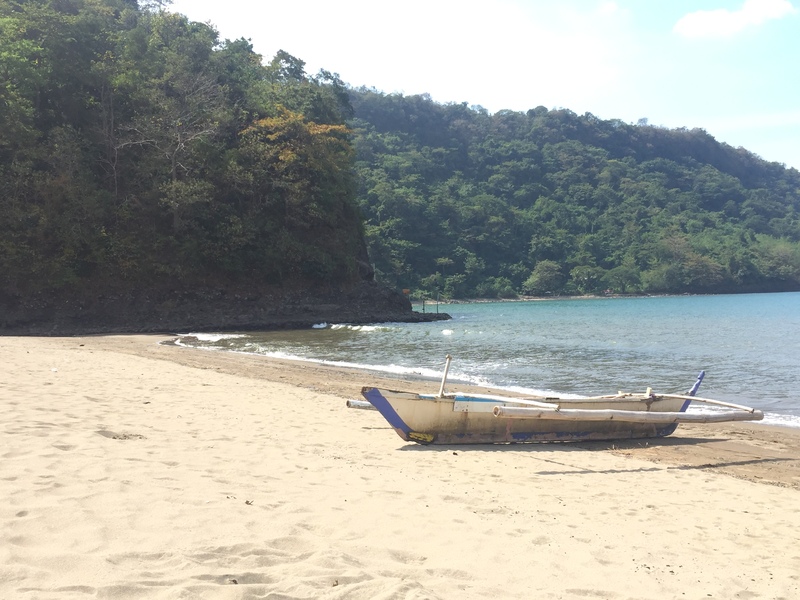 Although Calayo is perfect for a day trip, to make it worthwhile, it is worth spending the weekend in any of the places around Nasugbu and you could visit Calayo either by road or water as part of an island hopping adventure. Just remember to pack the esky with food and drinks.